For most people, especially super busy moms, knowing the right questions to ask when you’re stressed takes training. You just cant think straight, or at least I know it’s hard for me. A quick, handy tool that takes the guess work out of making decisions when I’m stressed is a huge help to me. Some of these are things that most people normally wouldn’t think about, but they can really affect health outcomes and quality of life. You know how it is when you have a sick kid at the house; someone else picks up the medications while mom is home nurturing the baby and questions don’t get asked of the Pharmacist. Or another caregiver is with your sick kid while you go to the pharmacy to pick up the medications and still….nobody asks the Pharmacist any questions! You are so occupied with mom life and care giving that by the time you drop off your script, wait for it to be ready, make sure the insurance covers it, and wait in line to pick it up…you just want to get the heck out of there. What if you didn’t have child care and your kid was with you? Do you really have the mental energy to think up all these questions to ask the pharmacist? That pharmacy is the one thing stopping you from going home. Most people don’t think to ask the pharmacist questions. 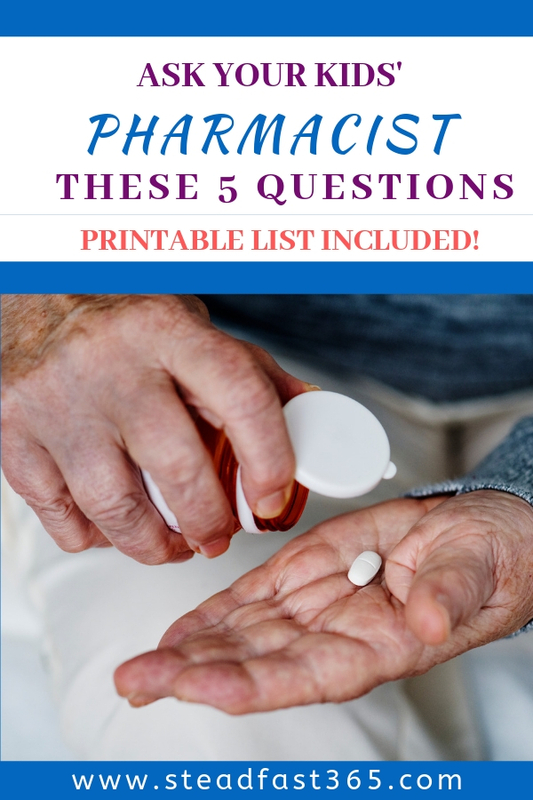 In my experience as a Pharmacist there has been one question repeatedly asked among all walks of life. That one is question is : “are there any side effects?” and even that is a rare occurrence. Actually the first question is “how much does it cost?” which is quite valid. For your reference always keep the poison control number handy. As of this blog post date it is American Association of Poison Control Centers at 800-222-1222. What if I forget to ask questions? 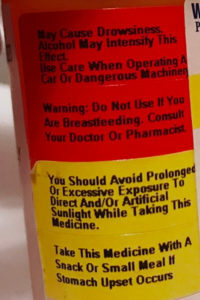 Pharmacists will typically put what’s called “auxiliary labels” on your medication bottle or package. You may be referring to them as caution labels. These will give you insight to some of the most common issues like “avoid sun exposure”, “may cause drowsiness” , other medications to avoid, and so on. So make sure you always read those! It will give you an idea of what to look for and may spark some questions. Your community pharmacist is there for you even when you leave the pharmacy. Your time and opportunity for questions is not limited to the pharmacy counter. Feel free to call when you get home or the days after if needed. You can call any community pharmacy and ask to speak to a Pharmacist. They may be limited in how much they can help if they don’t have access to your medical history, but they can answer general questions about your medication. So many times I have had clients tell me that they waited until I was available, they waited for the pharmacy to open, or they missed their in-person counseling session. There are plenty of 24 hour pharmacies open these days and you can call or visit them as needed. If you’re anything like me, you will forget your questions once you get settled at home and move on to the next task, so be ready! Be prepared and keep some common questions handy to ask so you don’t forget. It will also help you to be more efficient so you don’t have to spend time trying to track down a Pharmacist. Being put on hold when you need answers now is the worst! Yep, the worst, I don’t care how good the hold music is! Sometimes there can be so many that it can feel overwhelming. Especially as a parent. I mean all you have to do is listen to the end of any drug commercial and that’s enough to scare anyone. Just keep in mind that there’s legal reasons why they must state every single one on those ads despite the prevalence. Always ask about the side effects and what to do if it happens. Also ask the Pharmacist if they know how likely that side effect actually happens. That way you can make an informed decision. I can remember my father crushing and splitting tablets for me when I was a kid because I couldn’t swallow them whole. He would sometimes have to open capsules and pour the medicine onto jelly or honey so I could take it. I know some moms that need to mix liquid medications with juice to flavor it so their kid can take it. My dad didn’t mix it, but he would have me take the icky liquid medicine straight and then tell me to “chase” it with juice and I would shoot that sucker straight back! Yes, that’s how I learned what a chaser was, don’t judge my daddy it was just juice LOL. As a busy parent with a sick kid you do what you have to do to make them feel better and get better! Most kids’ medication are made to be altered like this to increase compliance, but not all will still be effective. Especially adult medications. It’s always best to ask if you plan on splitting, opening or mixing medications. Nap time is not always scheduled and who wants to wake up a kid that isn’t feeling well?! Isn’t that breaking some kind of mom rule? Some doses must be taken at the exact time as prescribed and some can have a window of a few hours. It’s best to ask the Pharmacist for clarification. Do I take it with food? Ask the pharmacist how you can maximize the absorption and also avoid stomach ache with timing food around the doses properly. You definitely don’t want to add a stomach ache to the mix. Some medications are best stored in the fridge. Make sure you know how long can it be stored at room temperature until you reach refrigeration. I want you to feel empowered with knowledge that helps your family! Laminate it and keep it in a designated place. Always know where to quickly locate it and tell other care givers where they can find it as well. Enter your email below to receive instant, free access to the exclusive list of printable tips and tools. 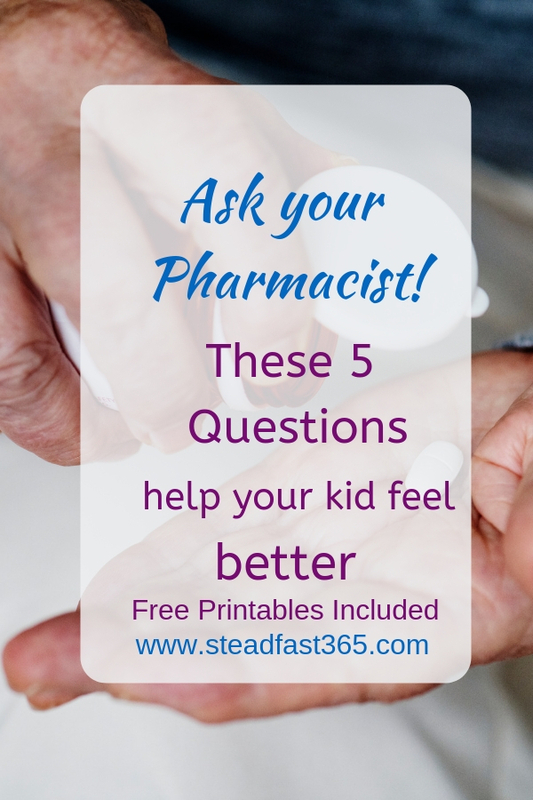 There you will find the free printable of 5 questions you should ask your Pharmacist. I’m also giving you a wallet sized version so you always have a copy on you. Woo Hoo! Use this mom hack for stressful situations where you don’t have the time or energy to think about important questions. Leave a comment to let me know what you think and if you have other questions you would have added. As a pharmacist, I can learn from you and your comments can help others! 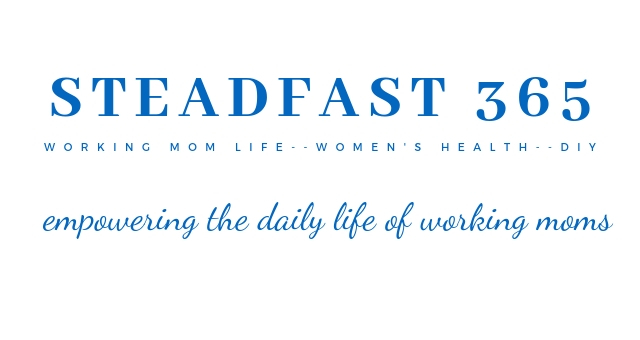 Subscribe to the newsletter for more convenient tips and hacks for busy moms. Check out my story. Click here to get to know me more!